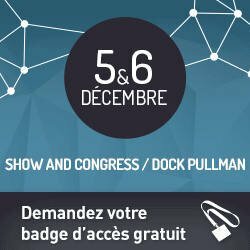 These trade fairs gathers for the “Paris Open Source Summit” at the Docks de Paris - Saint-Denis. It is now an entire community looking for information about free software and Open Source that meets every year. Solution: validation of Free Software industry, promoting SMB, presentation of start-ups and new trends, feedbacks from clients. Ecosystem: feedbacks from professional and private individual users, analysis and thought on society concerns linked to free software improvement. Visitors’ badges are free (preregistration or on site). The trade fair is open to professionals or students (badge or invitation needed to enter the fair). You are staying two days in the Parisian region and looking for an accommodation? We suggest you a list of hotels near the Docks de Paris. If you wish to stay in Paris you can also find a hotel room at Gare du Nord or a youth hostel. Take a look at the city of Saint-Denis located near the Docks de Paris and discover the heritage sites of this town (Basilica of Saint-Denis, Stade de France…). RER (Regional rapid transit) : Ligne B, arrêt "Stade de France"
Central Paris : Périphérique sortie "Porte de la Chapelle"